Find More Strength and Power to Live Your Life of Abundance! Strength and Power is often way misunderstood. Especially as it pertains to work, relationships and living a life of abundance. I know you think you know what it means to be powerful. But open your mind and let this soak in for few minutes. Pamela Gold grew up on her family’s apple farm in upstate New York, graduated from Yale University, and then entered the business world in NYC where she was the point person on an IPO at the age of 24. Leaving the workforce to start a family, she co-founded West Village Parents and went on to pursue her passion for fitness and wellness. It was through this pursuit that she discovered yoga, which connected her love of philosophy, science, psychology, and wellness and eventually led her to discover her life’s work: teaching inner peace as the key to our greatest evolution and ultimately, world peace. Her book, Find More Strength: 5 Pillars to Unlock Unlimited Power and Happiness is full of tragedy to triumph personal stories, along with actionable tools to help increase power and happiness in life. 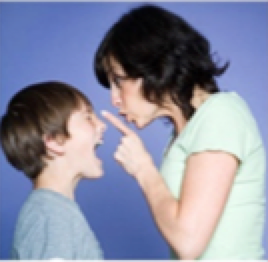 Are you Sick and Tired of the Yelling, Screaming and Belligerent Attitude of Your Child? Now you can discover the strategies of controlling your child and finally restore peace and power in your parenting. Restore Peace and Power in Parenting!